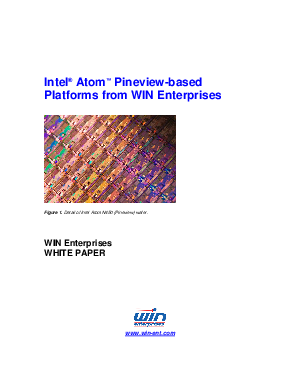 Beginning with the background and stunning success of the Intel Atom processor, the paper looks at its applications and subsequent development within the embedded computing market. The three current flavors of the next-generation Intel Atom processor series (code-named Pineview) are discussed. Lastly, paper goes over how these Pineview processors are featured in networking and IP PBX platforms from WIN Enterprises.